Trend analyses scrutinize changes over time in client conditions. Review trends over a five-year period, or longer when possible. Spikes or dips that appear in trends might confirm what an organization expects or raise additional questions worthy of investigation to better understand the unexpected change and determine whether it calls for proactive steps. How has the number of people requesting assistance from our organization changed over time? How do the trends in intake numbers compare to the trends in eligible people over time? 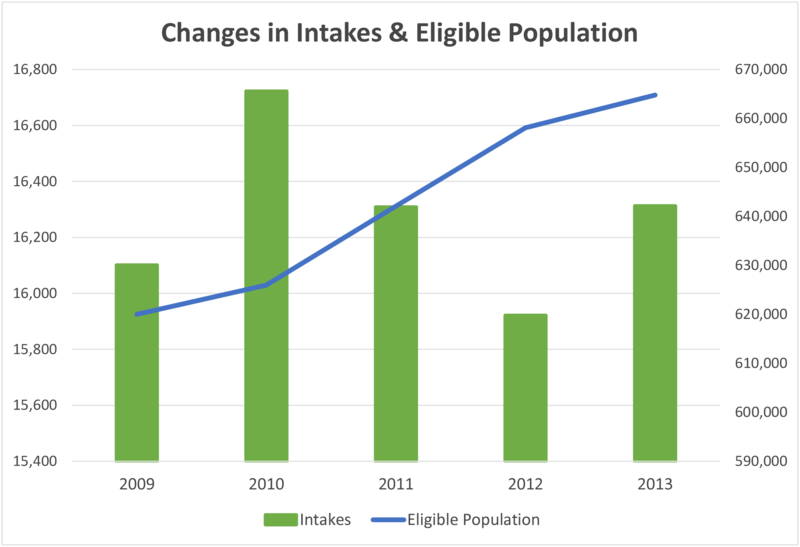 What have been the annual changes in intakes compared to the annual changes in the eligible population over time? What percentage of all eligible people have requested assistance in each of the last 5 years? Find the total number of intakes from your CMS for the last 5-10 years. Create a table in Excel and enter the annual intake numbers in columns for each year. Open the ACS, Advanced Search. Click on the Geographies blue box on the left side of the screen. Select a geographic type from the drop down based on the most appropriate type for your service area (state, county, census tract, etc.). Click Add TO YOUR SELECTIONS and close the Select Geographies. In the “topic or table name” box, enter S1701 and select GO. 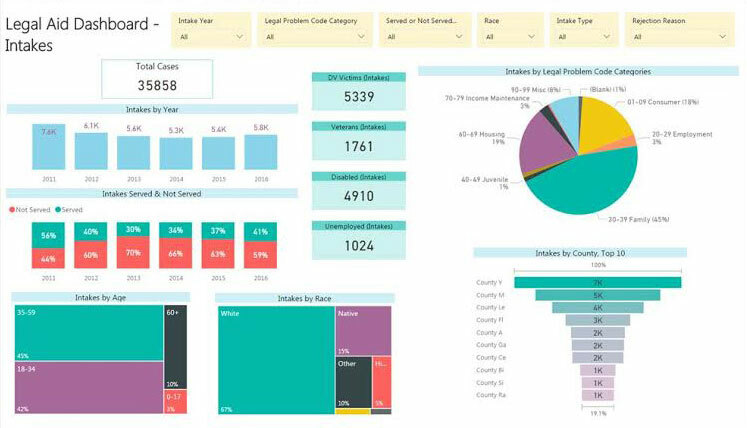 Download the S1701 table to Excel for your area for the most recent 5 years. Note that if your service area includes areas with populations below 20,000, you should use the 5-year estimates. Enter the numbers of eligible people from each of the annual S1701 tables into the columns for each year in the Excel file with the intake numbers.